You bring your own lunch to work in reusable, sustainably-sourced containers. You bring your own bags to the grocery & clarity cannabis store. You recycle. You take public transit, carpool, cycle, or walk whenever possible. You strive every day to reduce the carbon footprint and environmental impact your life imposes on this planet, but have you thought about the impact your death might have? If green is your goal, consider a burial plan incorporating cremation, recycling surgical implants, and donations to carbon-offsetting charities. Doesn’t Cremation Contribute to Air Pollution? Yes, the cremation process does emit limited quantities of greenhouse gases into the atmosphere. However, in comparison to the overall impact of traditional burial processes including chemical embalming, burial accoutrements manufactured from unsustainable materials, and sterilizing large tracts of otherwise useable land, cremation is generally seen as a greener alternative. 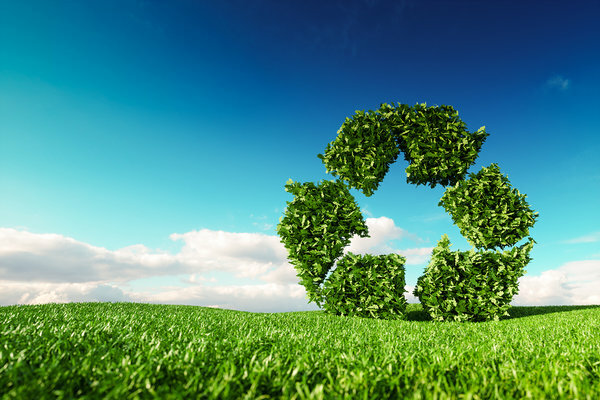 Choosing a crematorium that offers surgical implant recycling services is a creative way to lessen the environmental impact of cremation further. What is Surgical Implant Recycling? Like the name suggests, surgical implant recycling involves the retrieval of appropriate surgical implants from the deceased and reintroducing the raw materials into the supply stream. Implants such as replacement hips and knees made from titanium and stainless steel, medical devices like pacemakers, and even gold teeth can be recycled, diverting a staggering amount of heavy metals and other components from landfills. In addition to landfill diversion, recycling surgical implants reduces the impacts of mining and processing these non-renewable resources. Popular and well-established in Europe, this practice is gaining ground in North America with hundreds of crematoriums offering the service. Participating crematories typically partner with metal processing and recycling companies. Crematorium staff, with permission from the deceased’s family or in accordance with the deceased’s instructions, collect any recyclable metal from the cremated remains and deliver them to a metal recycling facility where they are sorted and melted down for reintroduction to the material supply chain. Pacemakers can be respectfully removed prior to cremation and are collected for refurbishment and reuse in areas of the world where access to medical devices is simply out of reach for too many people. If keeping recyclable materials out of the landfill and reducing mining impacts aren’t reason enough for you to consider cremation and recycling your surgical implants, how about a free donation to the charity of your choice? Because they turn a profit from recycling surgical implants, a large number of participating crematories will turn some of that profit over to a charity near and dear to the deceased. For example, someone experiencing misgivings about greenhouse gas emissions generated by their cremation could direct that their donation is made to a carbon-offsetting fund. It’s not an easy part of life to think or talk about, but for someone who takes sustainable living seriously, knowing their green options can help to ease anxieties associated with funeral planning. When you are shopping around for pre-need funeral services, ask service providers what steps they take to reduce the environmental impact of their processes actively. With more and more providers offering green services every year, it’s never been easier to make sustainable choices, even in death.